The Texas Silver Bar presents a unique tribute to the state of Texas with an exact representation of the interior architecture of the state’s Capitol dome. The design commemorates Texas’ grandest government building, which stands 288 feet tall — almost 15 feet taller than the United States Capitol, and acknowledges Texas’ history and culture in the minutest of detail. Surviving fires and renovations and gazing down upon generations of Texan governors and legislators over its 129 year history, the intricate dome has staunchly stood the test of time. The image of the dome’s interior is engraved in the top half of the Texas Silver Bar, depicting it as seen from the floor of the Capitol’s rotunda. The engraving shows the concentric panels of the ceiling gradually rising to the apex of the dome, where the eight foot iconic Texas star can be seen in the center of the circle. “TEXAS” is visible in small letters between the prongs of the star, exactly as it appears in the Capitol. 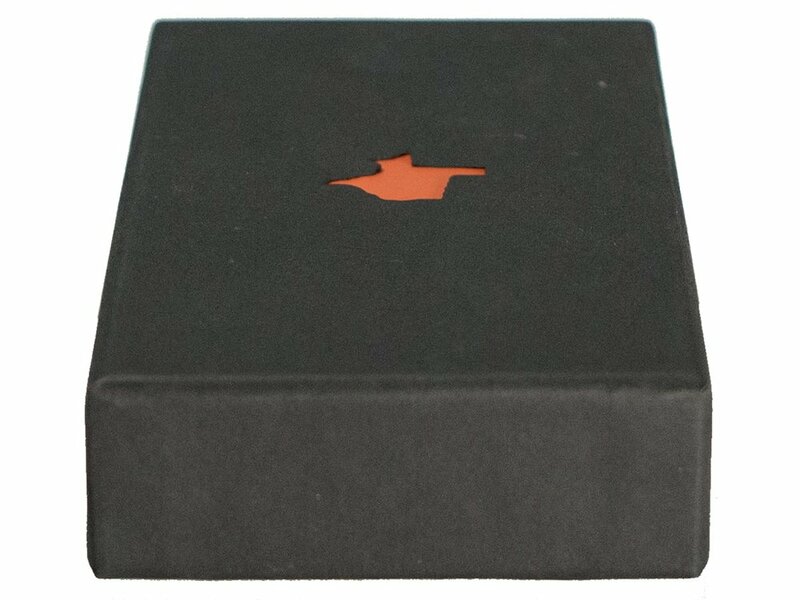 At the bottom right of the bar is the trademarked silhouette of the state of Texas. 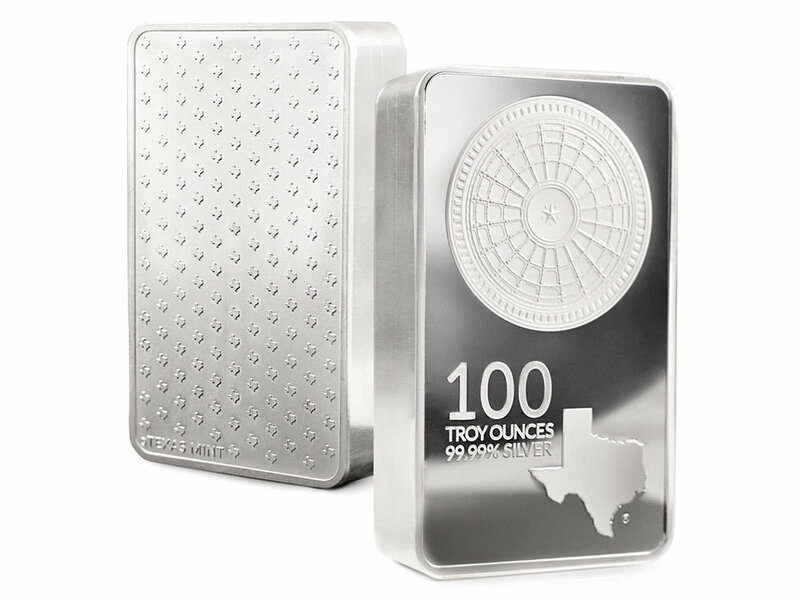 The bar is available in 1 oz, 10 oz, and 100 oz iterations. 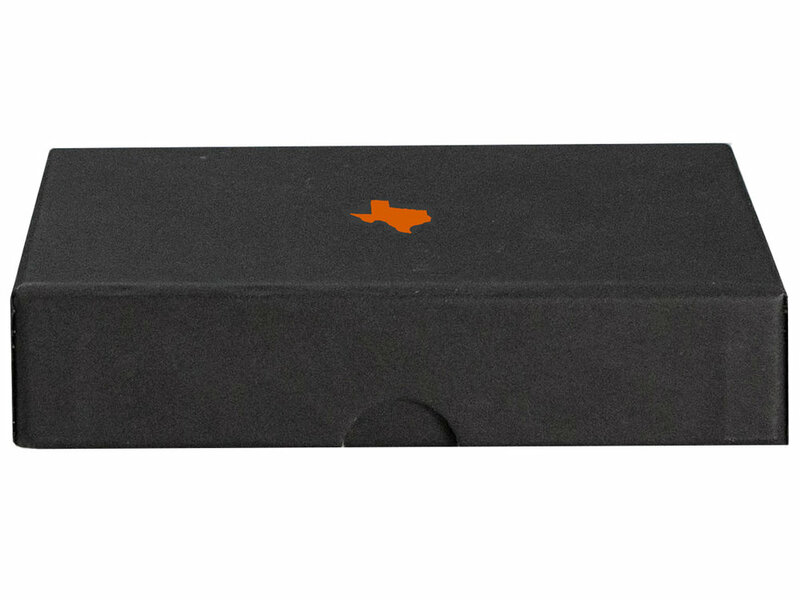 The size and specifications of the bar are visible to the left of the Texas engraving, just west of the Texas Panhandle. 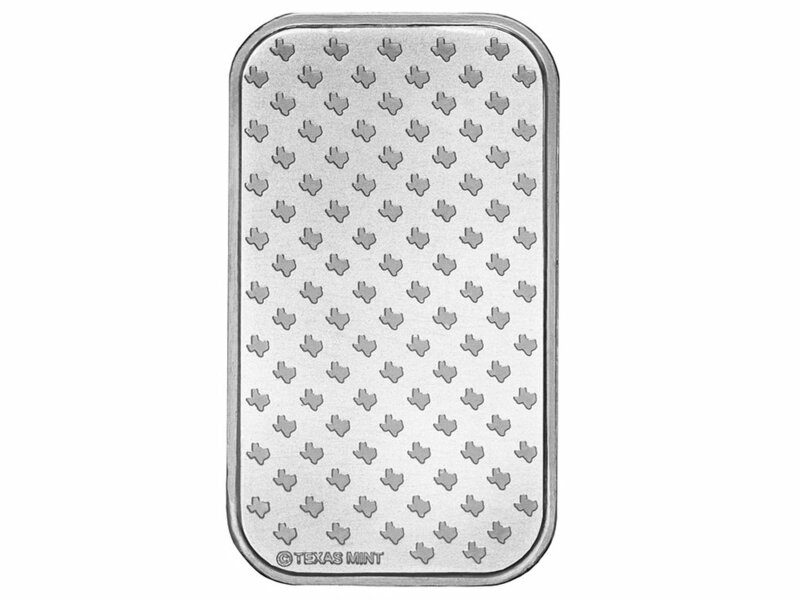 The bar’s “99.99% SILVER” engraving communicates the unique purity of this bar, only matched by select products from the Royal Canadian Mint and the Perth Mint of Australia. 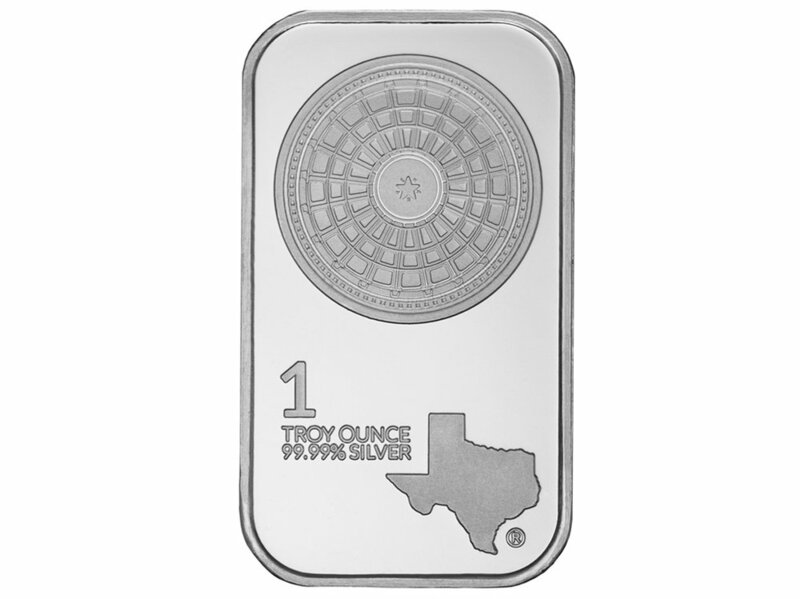 The reverse of the Texas Silver Bar again features the silhouetted Texas symbol. Miniature depictions of the state are organized in stately ranks and files across the entirety of the reverse of the bar. 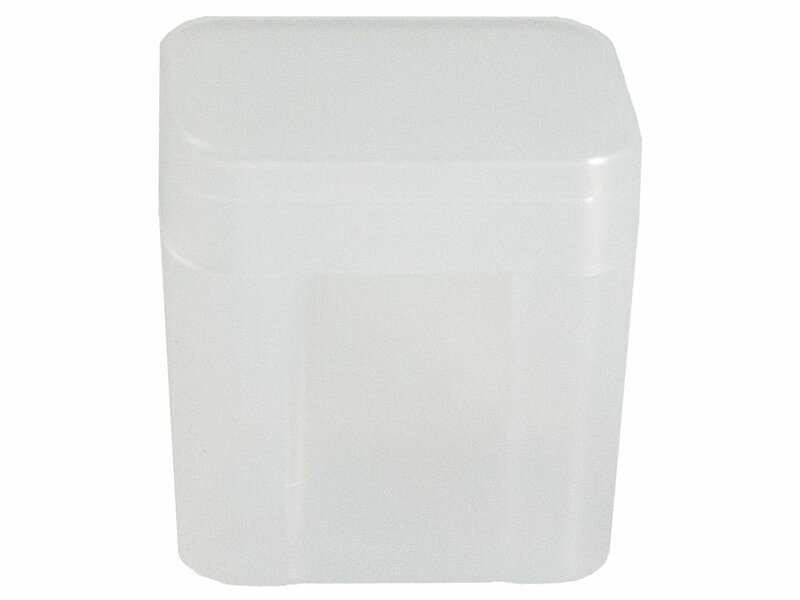 The 1 oz bars are packages in tubes of 20 and ship in boxes of 100. 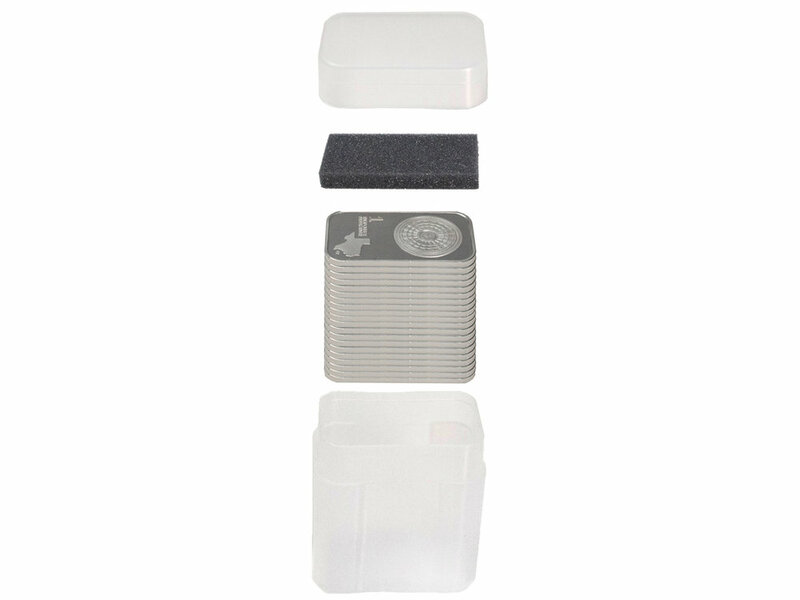 The 10 oz bars are packaged in heat-sealed 8 mil polyvinyl. 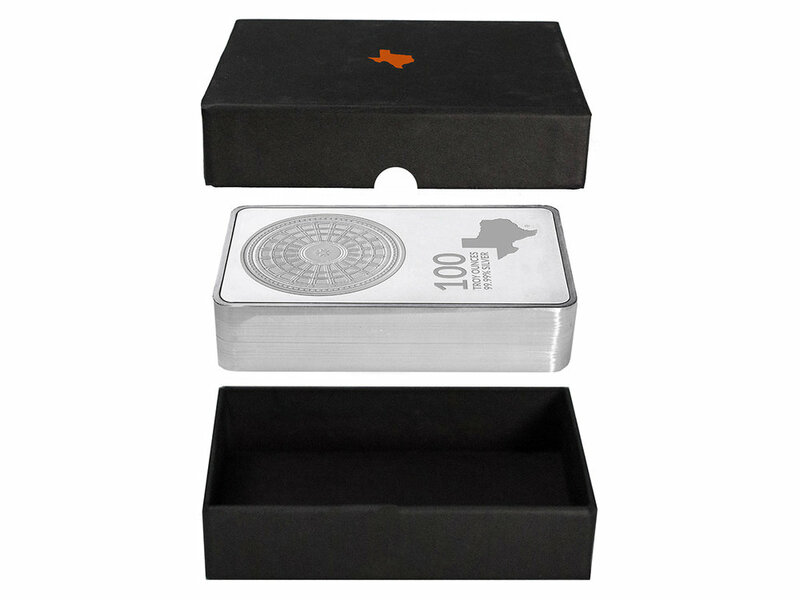 The 100 oz bars ship in individual custom boxes. 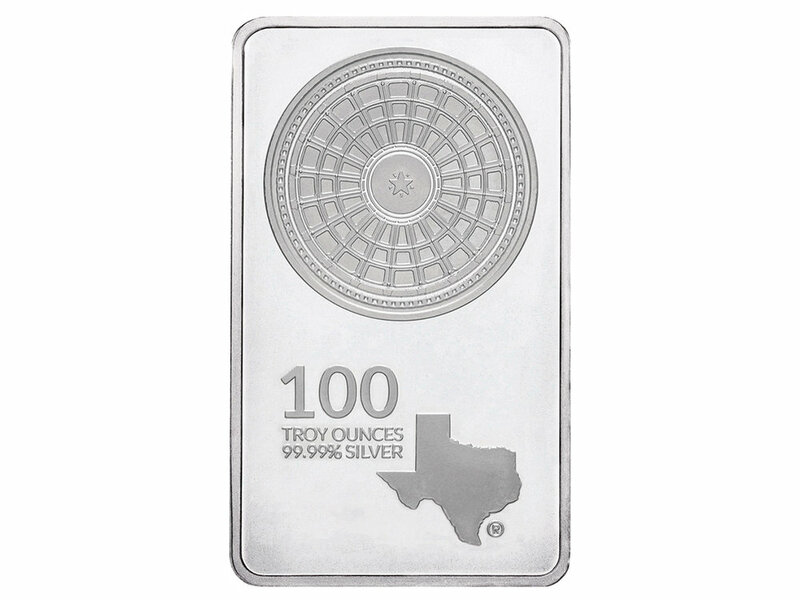 The Texas Silver Bars are IRA eligible.